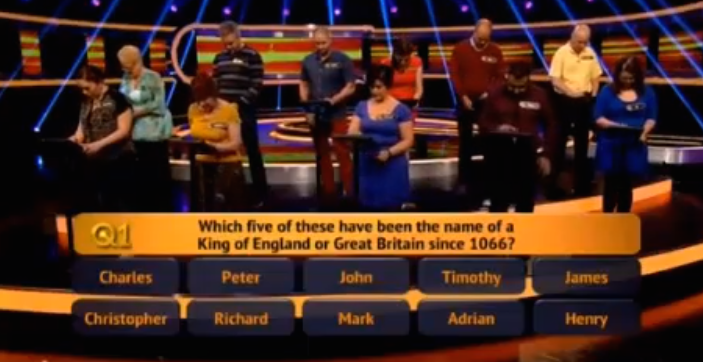 Quick Review of "The 21st Question"
On the new ITV daytime game show, the game begins with 11 contestants answering the first question that contains 10 possible answers, in which five are right. The contestants who answer correctly in the fastest time decides either which position he/she wants to be placed in the game, between 1 and 10, or become the “Power Player”. During the game, the Power Player will face the other contestants in numerical order, one at a time, in a series of three-question duels. Every time the Power Player answers a question correctly, £100 is added to the jackpot and the question value increases £100 for each additional game the Power Player plays. A challenger is eliminated upon answering a question incorrectly or failing to eliminate the Power Player in three questions or before the 21st question. A Power Player is eliminated upon answering a question incorrectly and the challenger providing a correct answer to the same question. 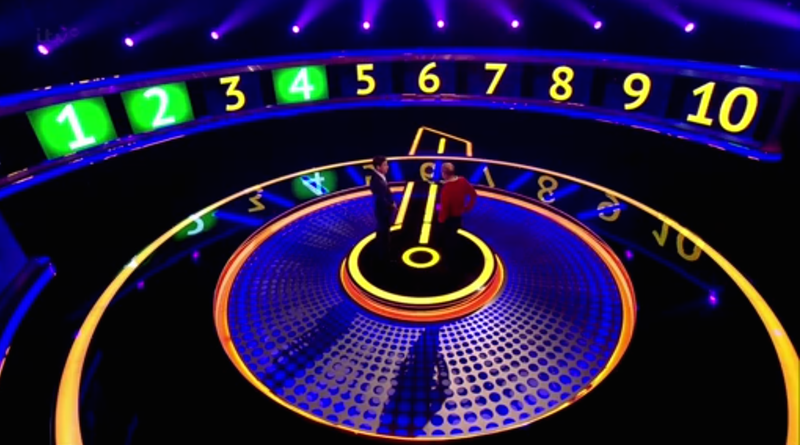 Each contestant is equipped with a “Double Up”, which doubles the difficulty of the question and the question’s value. The contestant who is the Power Player at the end of the 20th question will answer “The 21st Question”. The 21st question has a total of 10 answers. Three correct answers wins the contestant half the jackpot, two more correct answers wins the entire jackpot and four more correct answers doubles the jackpot. All contestants who failed to qualify to the end game carry over to the next show until the week’s end. Winning contestants could win over £14,000. If I were to rank the new game show among ITV’s current library of daytime shows, The 21st Question would place last behind Ejector Seat, Tipping Point and The Chase. With this being said, the format and the questions are challenging from the very top of the game, with all ten contestants racing to get the top position choice in the opening Fastest Finger-like round. The multidimensional game tests the contestants’ strategy, speed, intuition, knowledge and guts. This new show resemblances to Jackpot! (with nearly the same contestants competing throughout the week and the Power Player acting as the “King of The Hill”), Duel (with the series of elimination battles that place during each game) and The Chase (with a central player competing against a number of challengers). As challenging as the format is, the show drags a bit because the premise centers around the fact that only 21 questions are asked on each hour-long show. I also don’t like how the “Double Up” feature is casually mentioned at random times throughout the show. A game-changing element such as this one should be announced at the top of the second round. Overall, The 21st Question is a decent filler for The Chase while the hit ITV game show is on its temporary hiatus. As host, Gethin Jones does a good job of keeping the show going at a moderate pace. The element of keeping losing contestants on until the end of each week gives viewers an incentive to keep tuning in and the cash prize is respectable as well, considering the average end game jackpot is worth around £5,000. Other than that, it’s an average game show at best. I predict this show will last for only one series. Previous Post Quick Review of "The Singer Takes It All"
Overall it would not be a bad show except that it has to be dragged out as only 21 questions will be asked.